Whenever I know how a film is going to end, I always watch with hope in my heart. If I can just want it enough, surely I can singlehandedly change the outcome? Alas, my heroic parallel futures only ever occur in my head and the endings inevitably happen just as their creators intended, or in this case, just how they did in real life. Amy is exactly what you’d expect it to be. Poignant, funny in places, sad, infuriating, joyful. Above all, it is pure heartbreak. 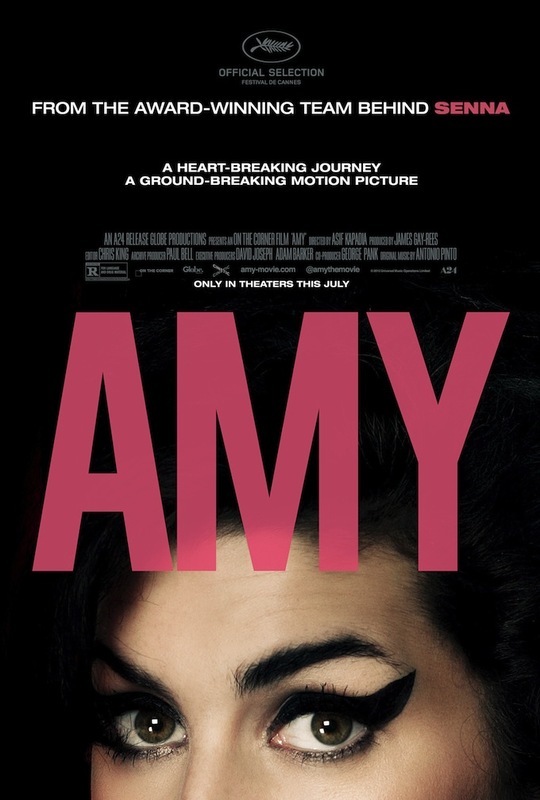 Constructed from video footage collected throughout Amy’s life, it lets us in on the life of one of the world’s greatest talents. Charting the rise and fall, we learn more about Amy’s aversion to fame, more about her destructive relationship with Blake; her lifelong battle with depression, her best friends and the people who surrounded, and loved her to her final day. It’s really hard not to be mad though by the end. How could this have happened? Why didn’t her family stop her? How could she be gone when she’d finally cleaned up; finally begun to fight back? It’s not fair and that’s the kicker, isn’t it? I’m not going to go into too much about the film because I hope you see it for yourselves but I will say that it’s beautifully presented, that Amy is treated respectfully throughout. Even in her lowest moments I feel she is portrayed as the vulnerable girl she was, not the punchline to some terrible joke. It’s easy to click your teeth and want to throw your popcorn at the screen at certain points, particularly when Blake shows up. What I wouldn’t give to smack his face and blame him for everything, especially when he smugly declares on camera that he can do better than Amy, after everything they went through together. But the story isn’t that cut and dry, is it? Mitch too. When he tells Amy’s managers that she doesn’t need rehab, it just doesn’t seem like he’s all there. There’s something about him that has never sat right with me but that personal opinion, innit? I’ll never meet him. It’s not all bad though. It was a real pleasure to spend my rainy Sunday afternoon back in Amy’s company. When Frank was released in 2003, it really struck a chord. Stronger Than Me has been my fighting anthem for over a decade and at different periods, it’s been Winehouse’s vocal that has spurred me on. Highlights of this documentary are: all of it really. Amy is hilarious. When she succeeds on screen you’ll want to jump up and clap. When she’s performing, you’ll want to dance. When she’s finally gone, I dare you not to feel completely bereft for quite some time afterwards. Please see it, she deserves to be remembered for so much more than those negative tabloid stories. 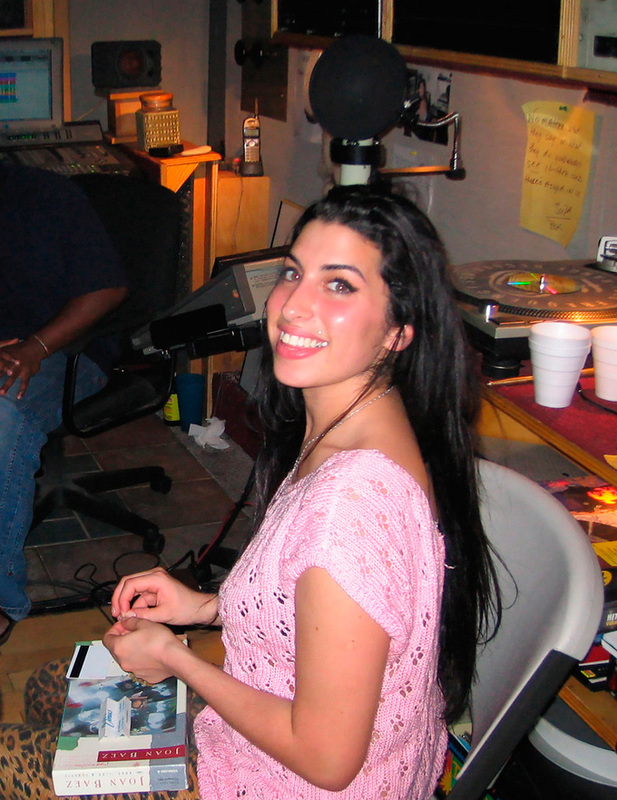 This entry was posted in A Voluptuous Mind, The Movies and tagged Amy, Amy Winehouse, Asif Kapadia, Biopic, Documentary, Film on July 14, 2015 by Christa Bass.